Irène Joliot-Curie – French and Polish scientist. 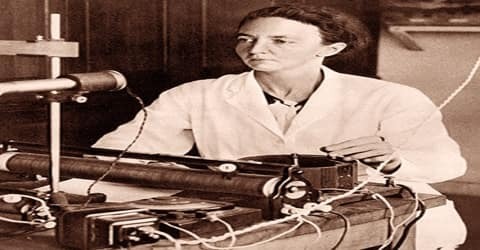 A French physical chemist, who was jointly awarded the 1935 Nobel Prize for Chemistry with her husband for their discovery of new radioactive isotopes prepared artificially, Irène Joliot-Curie was born on September 12, 1897, in Paris, France. She was the daughter of Marie Curie and Pierre Curie and the wife of Frédéric Joliot-Curie. Irène was born as Irene Curie to scientist parents, Pierre and Marie Curie. A child prodigy, her parents discovered her knack for mathematical abilities and skills when Irene turned ten and started her formal education. Irene’s abilities earned her a seat at the Faculty of Science at the Sorbonne. Though World War I disrupted her studies, she did not squander her time and instead worked as a nurse radiographer along with her mother. Following her doctorate degree and marriage to fellow researcher Frederic Joliot, Irene Joliot-Curie immersed herself completely into scientific research. In 1934, the magnum opus of her career came as she discovered artificial radioactivity along with her husband. The two initiated the start of a new legacy in scientific studies. The artificially created radioactive isotopes, though short-lived, were applied in medicine. They were cheap and could be quickly created in plentiful numbers. For their discovery of artificial radioactivity, the Joliot-Curie couple was awarded a Nobel Prize in Chemistry. Following this, she continued her research on the action of neutrons on the heavy elements. Scientific career apart, Joliot-Curie was active politically. She worked for improving the social standard of women and also took up an administrative position at several governmental institutes. Irène Joliot-Curie (French: iʁɛn ʒoljokyʁi), was born as Irene Curie to Pierre and Marie Curie on September 12, 1897, in Paris, France. Academically brilliant, young Curie began her formal education at the age of 10. Irène did not attend school until the age of twelve, but for the two preceding years she studied at the teaching cooperative established by some of Marie’s colleagues and friends for their own children: Marie Curie taught physics; Paul Langevin, mathematics; and Jean Perrin, chemistry. Irène next went to the Collège Sévigné; she received her baccalauréat just before the outbreak of World War I. From then until 1920 she studied at the Sorbonne and took the examinations for a license in physics and mathematics. During the war she served for many months as an army nurse, assisting her mother in setting up apparatus for the radiography of the wounded; at the age of eighteen, she had sole responsibility for installing radiographic equipment in an Anglo-Canadian hospital a few miles from the front in Flanders. Post War, Irene returned to Paris. She studied at her parent’s institute, Radium Institute. Alongside, she also served as her mother’s assistant at the institute. In 1925, she completed her doctoral thesis on the alpha rays of polonium, an element found by her parents. The year 1925 was a satisfying year for Irene Curie, professionally and personally. While she became Doctor of Science that year, at the same time she met her future husband, Frederic Joliot, who interned with her mother at the Radium Institute. Irene Curie met her future husband, Frederic Joliot while working as an assistant to her mother at Radium Institute. He shared her interest in science, sports, humanism, and arts. Irene married Frederic in 1926. The duo adopted a hyphenated surname after marriage and was known as Joliot-Curies’. The couple was blessed with two children, a daughter Helena who became a noted physicist and a son Pierre who was a biologist. During World War II, Joliot-Curie contracted tuberculosis and was forced to spend several years convalescing in Switzerland. Concern for her own health together with the anguish of leaving her husband and children in occupied France was hard to bear and she did make several dangerous visits back to France, enduring detention by German troops at the Swiss border on more than one occasion. Finally, in 1944, Joliot-Curie judged it too dangerous for her family to remain in France and she took her children back to Switzerland. 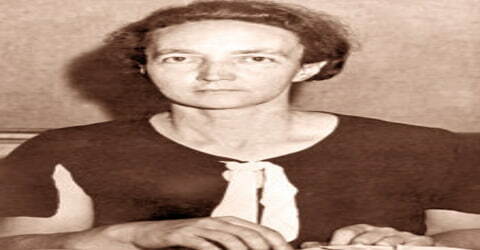 Years of being exposed to radioactive materials impacted the life of Irene Joliot-Curie. During the last days, she suffered from leukemia, which was a direct result of the accidental exposure to polonium in 1946 when a sealed capsule containing the element exploded. Though a series of operation temporarily relieved her, she failed to make it up. From 1928 Irene Joliot-Curie and her husband Frédéric combined their research efforts on the study of atomic nuclei. In 1932, Joliot-Curie and her husband Frédéric had full access to Marie’s polonium. Experiments were done with the use of gamma rays to identify the positron. Though their experiments identified both the positron and the neutron, they failed to interpret the significance of the results and the discoveries were later claimed by Carl David Anderson and James Chadwick respectively. These discoveries would have secured greatness indeed, as together with J. J. Thomson’s discovery of the electron in 1897, they finally replaced John Dalton’s model of atoms as solid spherical particles. During the initial years of research, though the husband-wife duo identified positron and neutron, they failed to interpret the same into their results. Later on, Carl David Anderson and James Chadwick were credited with the discovery of positron and neutron respectively. In 1932, she was appointed lecturer at the Faculty of Science. In 1934, the Joliot-Curies finally made the discovery that sealed their place in scientific history. Building on the work of Marie and Pierre Curie, who had isolated naturally occurring radioactive elements, the Joliot-Curies realized the alchemist’s dream of turning one element into another: creating radioactive nitrogen from boron, radioactive isotopes of phosphorus from aluminum, and silicon from magnesium. Irradiating the natural stable isotope of aluminum with alpha particles (i.e. helium nuclei) results in an unstable isotope of phosphorus: 27Al + 4He → 30P + 1n. By then, the application of radioactive materials for use in medicine was growing and this discovery allowed radioactive materials to be created quickly, cheaply, and plentifully. The Nobel Prize for chemistry in 1935 brought with it fame and recognition from the scientific community and Joliot-Curie was awarded a professorship at the Faculty of Science. Joliot-Curies bombarded boron, aluminum, and magnesium with alpha particles. On bombardment, they obtained radioactive isotopes of elements not ordinarily radioactive, namely, 13 of nitrogen, 30 of phosphorus, 27 of silicon and 28 of aluminum. Since these elements are not found naturally, they would decompose easily emitting positive and negative electrons. The discovery of artificial radioactivity was revolutionary in the field of science. 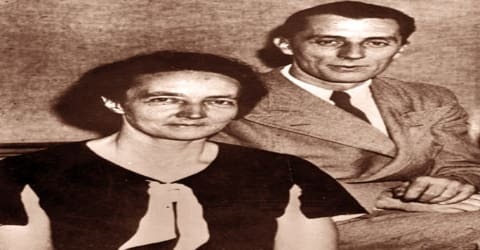 Both Joliot-Curie and her husband sealed their place in scientific history with their finding as creation of artificial radioactive materials assisted in filling up for the huge demand for the radioactive element that was then used in medicines. Their discovery allowed the elements to be created quickly, plentifully and at very low cost. After serving for four months in 1936 as secretary of state in Léon Blum’s Popular Front government, Irène Joliot-Curie was elected professor at the Sorbonne in 1937. She continued to work at the Radium Institute, while Freèdeèric Joliot transferred his research activities to the Colleége de France, where he had received a professorship. In 1936, Irene was appointed Undersecretary of State for Scientific Research by the French government. In the new position, she helped in the establishment of the Centre National de la Recherche Scientifique. In 1942, Irene became the Commissioner for Atomic Energy. Four years later, she was appointed as the Director of the Radium Institute. In 1948, she oversaw the creation and construction of the first French atomic pile. From 1946 to 1950 she was also one of the directors of the French Atomic Energy Commission, of which Frédéric Joliot was the high commissioner. 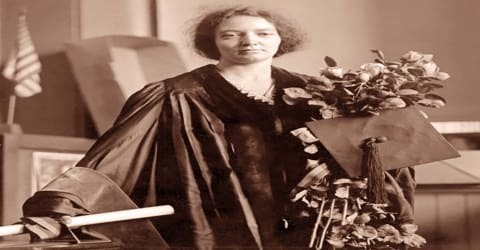 Irène Joliot-Curie divided her efforts in the following years between the creation of the Radium Institute’s large, new laboratories at Orsay, a southern suburb of Paris, and working for women’s pacifist movements. She died at the age of fifty-eight, a victim, like her mother, of acute leukemia. The disease was undoubtedly a consequence of the X and γ radiations to which she had been exposed, first as an inadequately protected nurse-radiologist during World War I and then in the laboratory when the dangers of radioactivity were still not fully realized. Irene Joliot-Curie was instrumental in the inauguration of the large center for nuclear physics at Orsay; the construction was carried on by her husband Frederic Joliot-Curie, after her death. This center was equipped with a synchro-cyclotron of 160 MeV. Other than scientific studies, research and academics, Joliot-Curie was active politically. She joined the Socialist Party in 1934, the Comité de vigilance des intellectuals antifascists in 1935, and supported the Republicans in the Spanish Civil War in 1936. Irene Joliot-Curie became actively involved in promoting women’s education, serving on the National Committee of the Union of French Women (Comité National de l’Union des Femmes Françaises) and the World Peace Council. Joliot-Curies were given memberships to the French Légion d’honneur; Irène as an officer and Frédéric as a commissioner, recognizing his earlier work for the resistance. In 1935, Irene Joliot-Curie was bestowed with the coveted Nobel Prize in Chemistry for the discovery of artificial radioactivity along with her husband and researcher Frederic Joliot-Curie. In 1940, Irene was a fellow recipient of the Barnard College Gold Medal for Meritorious Service to Science, along with her husband Frederic Joliot-Curie. Throughout her life, Irene Joliot-Curie served as a member of several foreign academies and scientific societies. 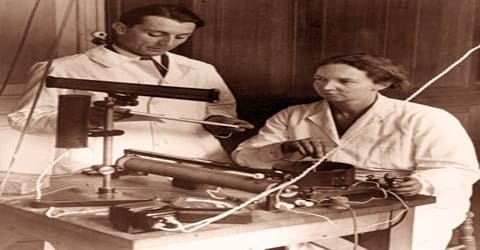 In 1956, after a final convalescent period in the French Alps, Irène Joliot-Curie was admitted to the Curie hospital in Paris, France, where she died on 17 March at the age of 58 from leukemia, possibly due to radiation from polonium-210. Her most significant contribution to science came with the discovery of artificial radioactivity, which was a milestone in the field of science. The discovery allowed for the creation of short-lived, but easy to create radioactive isotopes from elements such as aluminum, boron, sulfur and phosphorous. These artificially created radioactive isotopes were used in medicine. Also, the production of these unstable atomic nuclei afforded further means for the observation of changes in the atom as these nuclei broke down.